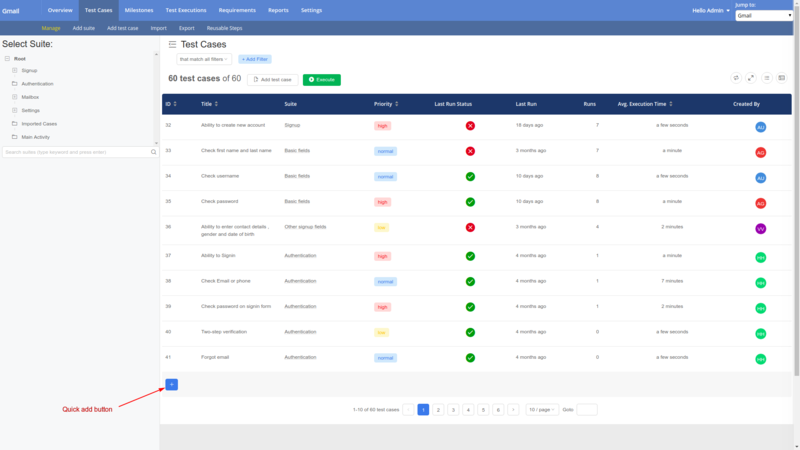 On test case management page a new button at the bottom of test cases list gives option of adding new test cases quickly without any need to navigate away from the page. 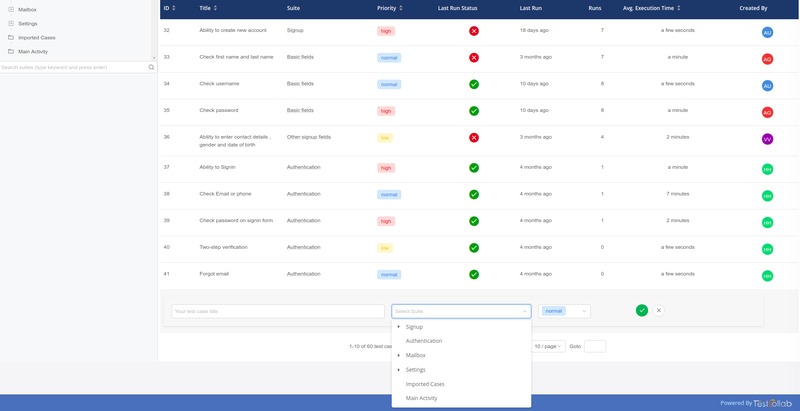 Click on the icon to see test case (quick) add form that requires only 3 fields - Title, test suite and priority of test case. Since all 3 fields are mandatory , once the values are provided for them the test case can be added.